Melanie Christon attended Rhode Island School of Design, where she studied glassblowing with Dale Chihuli. She was a stained-glass artist in NYC, commissions include The Other End and Le Figaro Cafe. She studied painting at The School of Visual Arts and The City University of New York, earning a BA and graduating with highest honors. Melanie studied with several abstract painters of the New York School, her most influential teacher was Patricia Passlof, a student of Willem de Kooning. She moved to New England and began painting en plein–air; studying with David Curtis and Caleb Stone in Massachusetts, and with Stan Moeller in York, Maine. Melanie was given a solo show in 2006 at Small Works Gallery, Haverhill, MA, and in 2008 she was awarded the popular vote at the Thatcher Island Show, Rockport, MA. A painting was purchased in 2012 by The Forbes House Museum, Milton, MA to be part of their permanent collection. She has won awards and exhibited at events including Beacon Hill Art Walk in Boston, The Danforth Museum, Essex Art Wet Paint, Newburyport Friends for Peace, and The Crane Estate; and has been represented by numerous galleries including Small Works Gallery in Haverhill, and Ferry Wharf Gallery in Newburyport, Massachusetts. Currently, her work may be seen at Charles Fine Arts, in Gloucester, Massachusetts. Melanie is influenced by The French and American Impressionists, and contemporary Plein Air Painters of America. She is a member of New Hampshire Plein Air Artists, The Newburyport Art Association, The Andover Artists Guild, International Plein Air Painters, and Plein Air Painters. She paints in The Catskills, in New Hampshire, and along the coast from Maine to Cape Ann. ViewMelanie Christon's Paintings on our marketplace. Melanie Christon Melanie Christon attended Rhode Island School of Design, where she studied glassblowing with Dale Chihuli. She was a stained-glass artist in NYC, commissions include The Other End and Le Figaro Cafe. She studied painting at The School of Visual Arts and The City University of New York, earning a BA and graduating with highest honors. Melanie studied with several abstract painters of the New York School, her most influential teacher was Patricia Passlof, a student of Willem de Kooning. She moved to New England and began painting en plein–air; studying with David Curtis and Caleb Stone in Massachusetts, and with Stan Moeller in York, Maine. Melanie was given a solo show in 2006 at Small Works Gallery, Haverhill, MA, and in 2008 she was awarded the popular vote at the Thatcher Island Show, Rockport, MA. A painting was purchased in 2012 by The Forbes House Museum, Milton, MA to be part of their permanent collection. 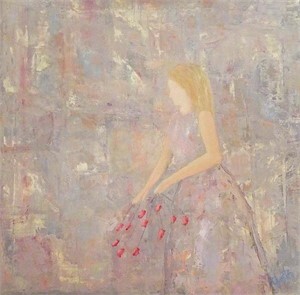 She has won awards and exhibited at events including Beacon Hill Art Walk in Boston, The Danforth Museum, Essex Art Wet Paint, Newburyport Friends for Peace, and The Crane Estate; and has been represented by numerous galleries including Small Works Gallery in Haverhill, and Ferry Wharf Gallery in Newburyport, Massachusetts. Currently, her work may be seen at Charles Fine Arts, in Gloucester, Massachusetts. Melanie is influenced by The French and American Impressionists, and contemporary Plein Air Painters of America. She is a member of New Hampshire Plein Air Artists, The Newburyport Art Association, The Andover Artists Guild, International Plein Air Painters, and Plein Air Painters. She paints in The Catskills, in New Hampshire, and along the coast from Maine to Cape Ann. ViewMelanie Christon's Paintings on our marketplace.